Axe Murders of Villisca Trailer Really Swings! 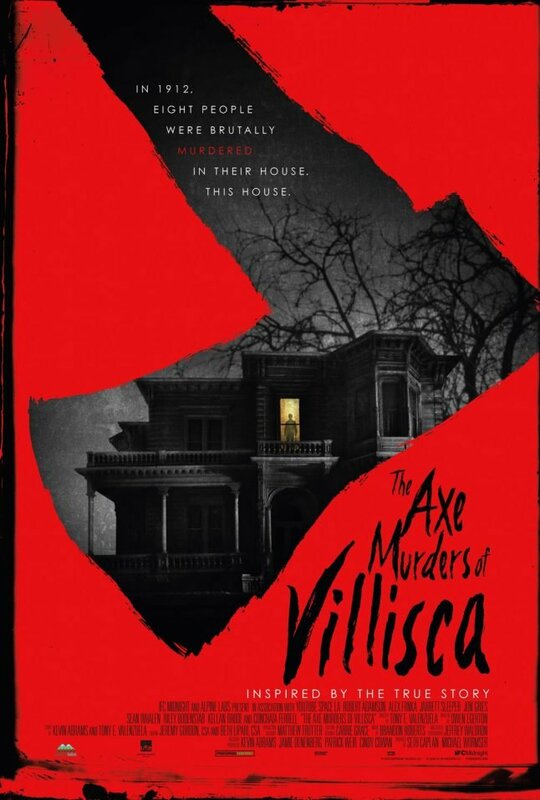 Trailer for The Axe Murders of Villisca Really Swings! Director Tony E. Valenzuela’s The Axe Murders of Villisca is set to hit theaters and VOD January 20th from venerable fright film imprint IFC Midnight. 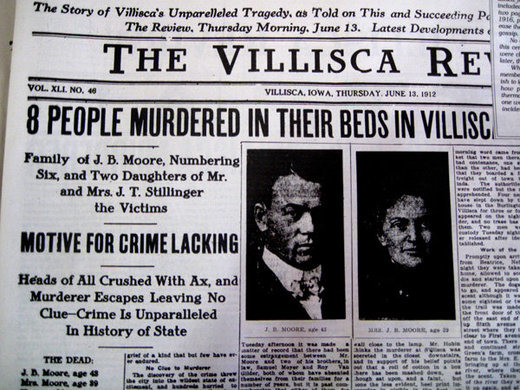 And for those not in the know, the gruesome, disturbing film is based on the very real, still unsolved case of the spate of murders that plagued the town of Villisca, Iowa on June 9 and 10 of 1912. The victims were the six members of the Moore family and their friends (yes, many of the victims were children), found hacked and bludgeoned by an axed. Though an investigation went on and on, no one was sentenced for the crime. And now we have this horror film that takes the story of the the tragic and brutal murders and exploits theme for the purposes of entertainment. But that’s okay, because for better or for worse that’s exactly what the horror genre has done and will always do. Official Synopsis: On a June night in 1912, eight people—a mother, father, their four children, and two guests—were murdered by an axe-wielding killer in the sleepy town of Villisca, Iowa, a case that remains unsolved to this day. 104 years later, Caleb (Robert Adamson) and Denny (Jarrett Sleeper), two friends who share an interest in ghost hunting, along with Jess (Alex Frnka), the new girl in school who’s already got a reputation, sneak into the house where the infamous bloodbath occurred in hopes of recording paranormal activity. What the trio encounters is far more horrifying than anything they could have imagined. A century after the shocking crime that put Villisca on the map, a supernatural force is waiting to write the next chapter in the home’s bloody history.